NorComp is a leader in the design and worldwide manufacture and marketing of I/O interconnect products. As an innovative interconnect solutions manufacturer, NorComp offers a wide range of premium machined, rugged, higher reliability connectors for harsh environments in industrial, medical, military and computer markets. NorComp's strategic objective is to become a leading interconnect solutions provider by utilizing its' supply chain services, engineering and connector manufacturing capabilities throughout the world and applying these competencies to key customers in core markets served. The company was originally founded in 1982 as Tex-Techs International, Inc. The name changed to Norwesco in 1985 as a result of an acquisition and was later renamed NorComp in 1992. 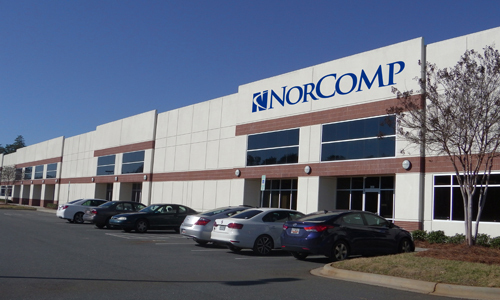 In 1997 NorComp was acquired by the EDAC Group of Companies and is currently located in Charlotte, North Carolina. NorComp is a North Carolina corporation. NorComp is a member company of the EDAC Group of Companies. The EDAC Group is a global leader in the design and manufacture of interconnect products. The Group is headquartered in Markham, Ontario Canada and has operations in Europe, the Americas and Asia. Group member companies consist of EDAC, NorComp, Communication Devices and MH Connectors.